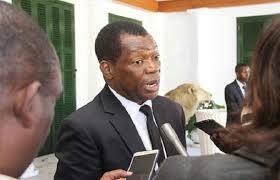 NEWLY-APPOINTED Prosecutor-General (PG) Kumbirai Hodzi was recently reported to the police for allegedly corruptly declining to prosecute former Mines secretary Francis Gudyanga, who was implicated in a criminal abuse of office matter. Gudyanga had been taken to court for fraudulently facilitating the issuance of a mining registration certificate to an undeserving mining company, Two Flags (Pvt) Ltd, ahead of Tambanashe Investments represented by Edgar Mashindi. According to documents filed at Harare Central Police Station, under case number IR012036, Hodzi allegedly caused Gudyanga’s case to collapse at the magistrates’ courts as his office reportedly acted in “a sloppy manner”, forcing the matter to die prematurely. At the time, the State represented by Ropafadzo Botsh, had asked the court for a postponement, saying the docket had been sent to the PG’s Office for perusal, but the court ruled that the PG’s Office had failed to provide a trial date within a reasonable period although the suspects, Gudyanga and his co-accused, Masvingo provincial mines director Sibongubuhle Mpindiwa and Mines ministry legal adviser Jacqueline Munyonga, had only been placed on remand for two weeks. Mashindi yesterday accused Hodzi of corruptly failing to prosecute the matter. “I have opened the case against Hodzi and his officers for abuse of office. I suspect that the matter was not done properly,” Mashindi said. Attempts to get a comment from Hodzi were fruitless as his mobile phone was not being answered since Tuesday, while questions sent to him had not been responded to. The complainant in the initial matter against Gudyanga, Mpindiwa and Munyonga, was the Mines and Mining Development ministry, represented by Munesuishe Munodawafa. Allegations were that sometime in 2003, Reedbuck Investments which had mining rights at Lenox Mine entered into an agreement of sale with Tambanashe Investments. On January 23, 2017, the trio issued a certificate of registration to Two Flags Trading Company before cancelling Tambanashe Investments’ licence. The State alleged that to cover up the offence, Gudyanga allegedly published a notice in the Government Gazette, purporting that Reedbuck Investments had lost its certificate of registration. The trio’s conduct was alleged to be inconsistent with their duties as public officers. Gudyanga was accused of working with Leslie Stalin to grab the gold mine from Tambanashe, a local black-owned business that had been given the claims by government following the liquidation of Reebuck in 2002.